Step1: Get your "Computer ID number" from the Demo and keep it handy, as we will need it in order to process your license order. This is a number the bot generates. It can be obtained on the main bot menu by going to Holdem > Get Computer ID and will then record in the session log as well. Please be careful of typos when sending! Step 2: Read the licensing terms and conditions below before buying. Step 3: When ready, click the Buy Now button below, where you can pay by credit card or Paypal (to use a credit card click checkout as guest). If paying by Paypal, please be sure to click the Return to Merchant button after payment so you end up on our page to submit your Computer ID number. Important - please read! You are allowed to purchase 1 license for each PC you want to use the bot on. You should have already downloaded the demo and run the program on that computer prior to buying a license. After you purchase, that PC will be the only computer the bot will work on with that license. We are happy to move the license to a different PC as often as you need, however. If you want to use the bot on more than one computer simultaneously, you will need to purchase additional licenses (contact us for us discount). Your license is valid for one year from the date of purchase and includes support and all upgrades. After one year, you will need to purchase a license renewal in order to keep using the software. Renewals are sold at a discounted price, but you must have purchased a full license sometime in the past in order to purchase a license at the renewal rate. Renewals are not billed automatically and are not a subscription. 1. The email address you want your license sent to. 2. The "Computer ID number" the bot gives you. 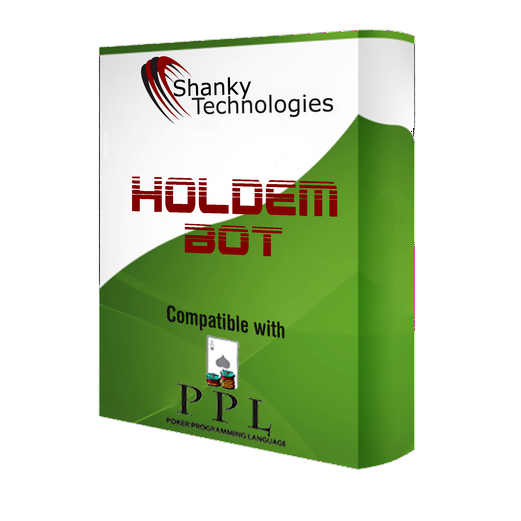 This can be obtained by clicking on Holdem and then Get Computer ID at which point it will record in the session log (that the bot automatically generates for each playing session, a text file named holdem.log saved in the bot folder at C:Poker/data). If you exhausted the 200 free hands, the Computer ID number should already be the last line in the session log. It is probably best to copy it from the log and paste it in order to avoid typos. Delivery time: License files are generated manually, so they are not an instant response. We will email your license within 24 hours if you followed these instructions (and usually within only a few hours). Please note that all licenses will be delivered during USA non-sleeping hours. You are purchasing a non-refundable digital product. We strongly advise you to run the free demo before making your purchase and contact us first with any issues. Disclaimer: The information on this website is for entertainment purposes only and is not to be taken as financial advice. Although we believe the math is correct, it could be wrong and/or out of date. Variance plays a significant role in online gambling and results will vary widely from person to person. Any results or potential earnings mentioned here are not typical. Luck is a factor so pursue the contents of this website at your own risk. Online gambling may not be legal where you live so please check with your local laws. This website is in no way affiliated with any of the casinos or poker rooms that our products support. Using our software may be against the Terms of Service of the websites our software supports. You bear the sole responsibility for potential loss of funds, be it from gambling losses or from account seizure by the gaming site that you use our software at. Under no circumstances will we reimburse you for any lost funds. Our software comes with a free demo period and all license sales are final.